Camila Cabello’s new song "Havana", featuring Young Thug, was released on August 3, 2017 as a promotional single of her upcoming debut album, along with "OMG". This week, this song hits the top spot on Billboard's Pop Songs radio airplay chart. It is also the second song that reaches to No. 1 on the chart. The former Fifth Harmony singer's first cut to make it to the top of this chart was "Bad Things," with Machine Gun Kelly. In the United Kingdom, "Havana" entered the UK Singles Chart at number 53 on the chart dated August 11, 2017. It rose to number two in its ninth week, behind only Post Malone's "Rockstar" featuring 21 Savage. On November 3, it reached number one, giving Cabello and Young Thug their first UK number-one single. It has since held the top position for four weeks. On November 14, 2017, the song was certified Platinum by the Recording Industry Association of America (RIAA), Cabello's third Platinum certification as a solo artist. This track is available to stream on major music streaming services, like iTunes and Spotify now. 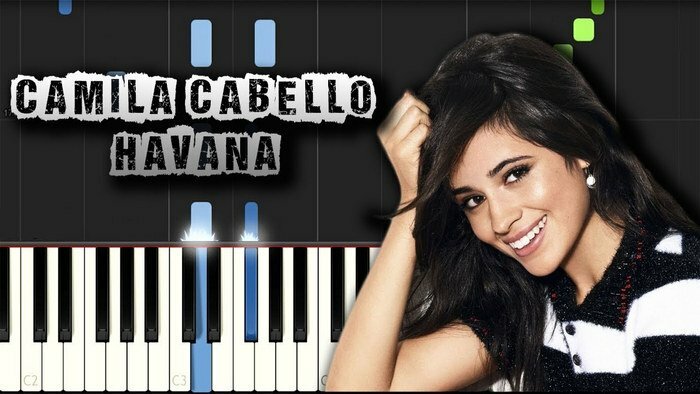 Here we will show you how to download Camila Cabello's Song Havana from iTunes to MP3 format. You may prefer to enjoy this popular music on your portable MP3 player or stream them in your car. However, although Apple Music allows subscribers freely download and save the music and albums offline onto devices linked to Apple Music account, it restricts the use of the music files on other devices by adding a DRM protection to streaming music collection on Apple Music. What's worse, when the subscription ends, the DRM-locked songs will be disabled and inoperable. So if you want to download Camila Cabello's Song Havana to MP3 for streaming on your portable MP3 player, you'll need a third-party iTunes DRM removal tool. Here we are talking about NoteBurner iTunes DRM Audio Converter which is a professional Apple Music Converter to help you legally remove DRM limitation from Apple Music songs and playlists and convert Apple Music files, audiobooks, or other downloaded music from iTunes or Apple Music to MP3, FLAC, AAC or WAV format at 10X faster speed with keeping lossless audio quality. Thus, you are able to take full control over the downloaded "Havana" and freely play the music back on any media player or burn the songs to CDs, even if the subscription ends. For some Spotify users, if you want to download Camila Cabello's song Havana from Spotify to MP3, you need to pick up a reliable Spotify to MP3 ripper. Here you meet NoteBurner Spotify Music Converter, a smart DRM removal app specially designed for any Spotify user to help you easily download all Spotify songs and playlists for offline listening. It can also convert Spotify tracks to common MP3, AAC, WAV, or FLAC format, so that you can then play the songs on any popular device and player. 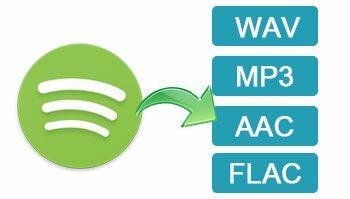 Even if you are using the free Spotify account, you can use this poweful Spotify Converter to download and convert any track as you like. Completely compatible with the latest Mac and Windows OS.